We can all agree that not all jackets are created equal. For modestly cold environments, you don’t want to wear extremely warm jackets – that’s simply an overkill. For aerobic activities in cold weather, don’t you want a jacket that will give you the right comfort, breathability and weather protection? 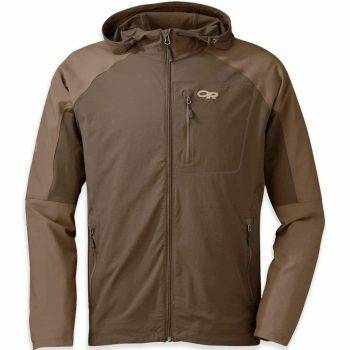 In this case, the best softshell jacket for men should be in your shopping list. Softshell jackets are worn over a t-shirt or another base layer because when worn as a single layer, it doesn’t offer much protection. You can wear this jacket even in early spring or late autumn when going for a run, over a long sleeved shirt. In these cases, the main reason you’d need such a piece of clothing is to help your body maintain a constant temperature and avoid catching a cold. But how does one shop for softshell jackets especially when there’s so many choices out there? Worry not, because you’ve come to the right place. This article aims to show you the best features to consider when you’re shopping for softshell jackets. Plus, we will provide you with a few products to look through to help you on your way to finding the best jacket for your needs. Let’s take a look! Before you go out and buy the very first jacket you see, there are some key features that you should know about first. Not all softshell jackets are made the same, and it’s important that you know the differences between them so that you can find exactly what you’re looking for. With that in mind, let’s take a look at what these important considerations are. Softshell jackets can be made from several different kinds of material, as well as have different liners to serve different functions. Not all jackets can be worn while rock climbing, where you need a lot of insulation against the wind, while others can be worn when it’s drizzling out to keep you dry. It all depends on what kinds of activities you’re going to be engaging in while wearing these jackets. Stretch woven: The main characteristic of this type of fabric is breathability, and it generally offers little protection against the elements. Garments made of this material are usually tighter around the body, and this is what makes the wearer feel protected. It is best to wear these types of clothes in dry conditions, regardless you’re going cross country skiing, climbing, running, or backcountry touring. Lined: The jackets in this category have a thin membrane on the inside. These garments offer more protection against the bad weather and especially against the wind, but they’re also less breathable. You might also feel slightly warmer when wearing one of these. To best put to work this type of jacket, consider going downhill skiing, ice or alpine climbing. Uninsulated: You might see people preferring the uninsulated jackets for varied activities, including everyday wear. 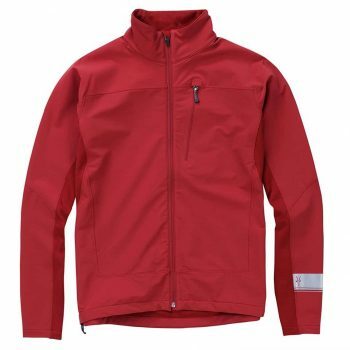 These are more breathable and lightweight than the rest of jackets, and some of them are made of windproof fabrics. You can find such items weighing less than 10 ounces, making them ideal to carry around when hiking. You should know these garments are perfect for wearing over base and middle layers. Fleece-insulated: The jackets insulated with polar fleece are well known for keeping the wearer really warm, therefore they’re recommended for winter use. These can be worn even on days or in locations where the temperatures drop to below 20° One good example for such conditions is ice climbing. Many people wear these garments on a regular basis for daily activities. You’ll want to avoid this item in summer or mild temperatures. Water-resistant hybrid: The water resistant fabric can be used for any of the previous types of jackets, and this is why you’d name them hybrids. This type of fabric is not very breathable, therefore you risk overheating in most of the situations we just mentioned. To have a better idea of when to wear a jacket like this, think of an early spring when snow starts to melt, and water drops are nearly everywhere you go. Beware that waterproof and water resistant are not quite the same thing. You’ll have no drop of water passing through the former, while the later can get wet when exposed to enough water, like a downpour. These two aspects go hand in hand. You probably don’t think the weight of the jacket matters, but it does. When worn, it can make you feel heavier, and when packed with the rest of your gear, it can make your backpack feel heavier. A bulky garment occupies more space that could be used for other small and useful things. You also don’t want your jacket to feel heavy on your person. The point of a softshell is to keep you dry while you’re engaging in outdoor activities, and you shouldn’t be wasting sweat just lugging your jacket around on your body. It should be light, breathable, but still be able to provide you with some amount of insulation to prevent the chills. You may think all a jacket has to do is zip up, but there are more features to take into consideration. Do you want a softshell that has elastic wrist cuffs? Want to be able to wear a helmet and pull the hood over it? Do you want to hike while listening to music? Asking yourself these questions will help you keep in mind what kind of jacket you’re looking for. For example, if you’re a skier, you might want to consider a softshell jacket that has velcro closures around the wrists rather than an elastic drawstring, in order to keep out the chilly winds as well as the snow in case you fall. Knowing what your choices are in terms of features will help you to make the most knowledgeable purchase to exactly meet all your needs. Being able to find the right fit may be a bit more than you bargain for; it’s easy with a winter jacket, as the bulkier the better, and all you know is that you don’t want a jacket that’s too small. With a softshell jacket, however, you don’t want something that’s tight enough that’s going to impair your movement, but you always don’t want it to be too big and bulky that you can’t get your hip belt around it. That means that you’re going to have to try on several jackets from different manufacturers in order to get the right fit. Softshell jackets that are considered to be “technical” if they feature a trim fit that enables you to make more athletic movement. Consequently, the features associated with technical softshell jackets also support such athletic movements. The technical models will likely have more features as well as tougher materials. Casual jackets generally do away with packable size and weight in favor of weather protection, warmth, style and comfort. Casual softshell jackets are ideal for low output activities like general daily use and commuting. If you’re someone who likes to keep fit by running or jogging, you might need a windbreaker at times. 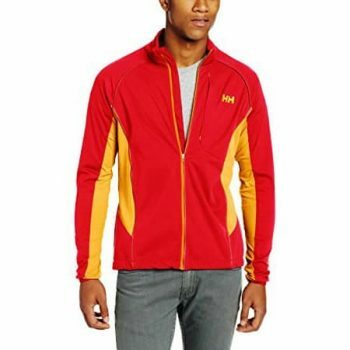 The jacket is lined with fleece, which is why this garment is perfect as a windbreaker for your jogging sessions. The Arc’Teryx Gamma MX Jacket is definitely recommended for those who are interested in winter sports, as it keeps wind away while making sure you keep a constant body temperature. This jacket doesn’t have a hoodie, but a high collar – a feature some people might prefer over a hood. You’ll surely put to good use the three pockets this clothing item has, as all of them close with zippers. Two of the pockets are placed on the sides to warm your hands when needed while the third is found on the sleeve. The jacket’s zipper can be easily operated with gloves on as well since it has a large pull tab with a short string attached, allowing you to grab it easily. Related: If you’re looking for a bit more warmth, you should consider the Arc’Teryx Cerium LT Hooded Jacket. It’s available in a wide range of colors, and has a lot of insulation to keep out the cold. Great for winter sports, winter camping, or just shoveling your driveway. It’s made from nylon, so it’s definitely waterproof, guaranteed not to absorb any ice, slush or snow so you can stay warm and dry until you get back inside. 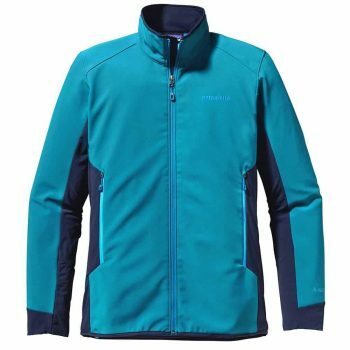 Those who like spending time in the outdoors know just how important a good cover is, and the Patagonia Adze Hybrid Jacket appears to mark on all of the mentioned qualities. It can protect from the chilly winds, light rain, while also keeping you warm. This jacket also has excellent breathability so overheating won’t be a problem. Being lined with fleece, you can be certain cold will be the last thing on your mind when performing various activities. Keep in mind though, that this is not a winter garment and if you need more warmth than what his item offers, you can always layer a pullover under it or a vest on top. If you go hiking, chances are you’re going to wear a harness. The pockets of this jacket are high enough to be accessible with the harness on, and they secure with zippers. Many guys want inner pockets as well, and this Patagonia item has it, along with a zipper to keep your smaller devices safe. Related: The Patagonia Nano Puff Vest is a great jacket to use for an outer layer in the colder temperatures. It’s sleeveless, breathable, and is very lightweight so it won’t overburden you. It comes in a wonderful array of bright colors to make you stand out from your surroundings, and dries extremely quickly on the off-chance that you do get it wet. If you were searching for a jacket to help you maintain a constant body temperature, look no more! It will be impossible to overheat in the Outdoor Research Ferrosi Hoody, but it also protects against the wind and rain. This is not a thermal layer, but it goes well over a base layer. If you think you’ll want more thermal protection, you can easily add a vest or some other top. You’ll surely find a lot of good use for the two side pockets and the chest one. All of them have zippers, so you won’t lose your possessions. The fabric of the jacket is stretchy, so you can move about freely, no matter how many layers you have on underneath. It’s also long enough to protect your rear, should you take a spill while you’re hiking or skiing; there’s no reason for your fanny to get wet. Related: The Outdoor Research Radiant Hybrid Pullover makes a great layering jacket that can be worn just about anywhere. It also has Polygene Active Odour Control which not only helps in wicking moisture away, but also inhibits the growth of bacteria to prevent smelly underarms after a long trek through the woods. The Helly Hansen Challenger Jacket is very breathable, thanks to the special panels placed under the arms, where we sweat the most. You’ll also be lightly protected against the rain, if it doesn’t start pouring all of a sudden. And even with the breathable fabric, it is still windproof so when there’s a sudden gust, you’ll be protected and remain warm. When you go running, you won’t have to worry about leaving your personal effects behind. The chest pocket is capable of holding many of these items, from your keys and phone to your personal mp3 player. The bright colours will also make you visible, especially during the late evening hours or at night time, when you need to be seen by others the most. The reflective trim will also help with that, which can be very helpful if you’re lost on your way back to your tent. Related: For a different softshell jacket in the same price range, you can opt for the Salomon RS Warm Softshell Jacket with its superior breathability and comfort. Good for outdoor workouts. 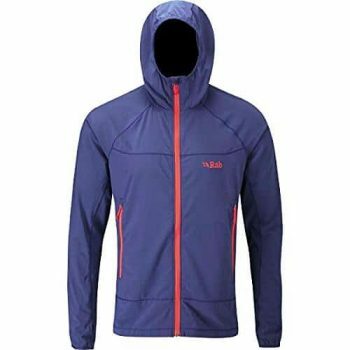 One of the first things you’ll notice about the Rab Ventus Jacket is that it has 2 large pockets on the sides that close with zippers. Both pockets are accessible even when wearing a harness, a bonus that pleases many people. Given its odor control treatment, Stay Fresh, you can assume you got a perfect jacket for those chillier days you want to go running or jogging and not come home smelling as if you never used deodorant before. A really good way to use this jacket is for fast and light mountain exploration. One notable feature of the hood is that it can be worn with basically any type of headgear for extra protection. You can wear the hood both under and over helmets, which is an added plus. The sleeves are sure to stay in place thanks to the thumb loops. What’s more is that you won’t be bothered by the wind thanks to the lycra cuffs on the inside. Related: The Rab Power Stretch Hoodie is an excellent stretch hoodie that is guaranteed to keep you warm while you’re jogging on an autumn afternoon. You can choose to leave the zip at chest level and leave the hood down, or you can zip it up all the way up to your chin to protect your neck against the wind for maximum warmth. 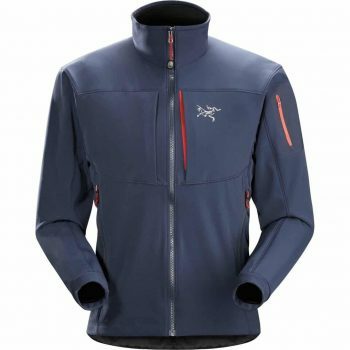 The Ibex Breakaway 2 Jacket doesn’t have a hood, something you might be interested in knowing before purchasing. If you need a lightweight jacket for aerobic activities, then you need this jacket: Ibex used a blend of wool with stretchy fibers to create Climawool. This blend of yarns is ideal for working out as it breathes well, protects from the cold, and maintains a constant body temperature. However, the material is also quite breathable so that you won’t overheat while engaging in any activity. The reflective strip on the sleeve makes this jacket perfect for running, especially in the late hours. What’s more, the elbows are articulated and the underarm areas are uniquely built to allow maximum comfort when moving your arms. Sometimes, when you carry too many things in your pockets, you feel your movements restricted. This is why Ibex created this jacket with only one zippered chest pocket. Related: Even with the best jacket, you’re not going to get very far if you don’t have the proper footwear. The RAX Waterproof Hiking Shoes are comfortable enough to wear just about anywhere, but have the traction to get you up the highest and roughest slopes. Available in two other colors, they have an attractive, sleek look that anyone would be happy to wear. 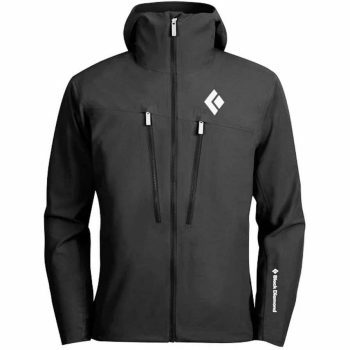 Stretchy clothes feel more comfortable, and the Black Diamond Induction Softshell Jacket is exactly how sport clothes should be: stretchy and comfortable. When you’re out and about, facing all sorts of weather conditions you want to make sure you’re protected. This jacket is made with Windstopper – a fabric that is breathable, waterproof, and above all, windproof. The hood of the garment is fixed, and you can adjust it with a drawstring at the back. Sometimes you need to wear a helmet as well as a hood, but not all hoods are compatible with the helmets – except this one is. You probably want to carry some stuff you and have it handy when in need. This jacket has 4 large pockets, closing with zippers. Two of them are on the chest, a placement that is easy to reach. The side pockets are well hidden, making them basically invisible from the front. The collar of the jacket is really tall, offering better protection against the wind. Related: During the winter, you want the warmest jacket money can buy without breaking your wallet. That’s why you should consider the Black Diamond Hot Forge Down Jacket, as it’s not only affordable, but it also looks great. Available in three colors, this goose down jacket is plush and soft, windproof, and comes with a wonderful hood to keep your neck and ears warm too. And we have now arrived at the end of the product reviews. 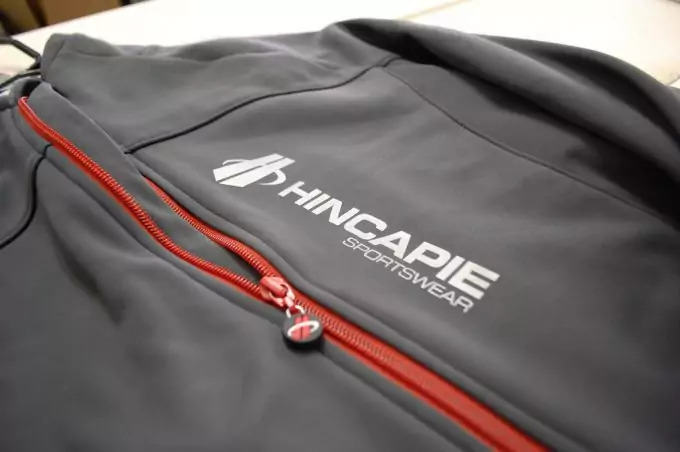 Now that we’ve provided you with all the information we have at our disposal, you have everything you’ll ever need to make the best purchase of a softshell jacket, whether it’s for yourself or as a gift for a friend or family member. So have you used softshell jackets before? Do you have a favorite jacket that you swear by? Feel free to leave a comment to share your opinions and your favorite softshell cover, especially if it’s not on our list.